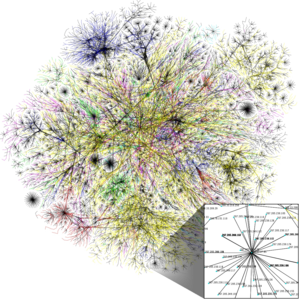 Tai languages form a coherent dialect continuum of more or less mutually intelligible varieties, with few sharp dividing lines. Thai language has various names in Northern Thai, Thai, and other Tai languages. Thai language of the northern region", or colloquially it is known as phasa nuea (ภาษาเหนือ /pʰāː.sǎː.nɯ̌a/, literally "the northern language"). In Lao, it is known as phasa nyuan or phasa nyon (ພາສາຍວນ or ພາສາໂຍນ respectively, /pʰáː.sǎː.ɲúan/ or /pʰáː.sǎː.ɲóːn/ respectively, literally "the Tai Yuan language"). In Tai Lü, it is known as kam yon (ᦅᧄᦍᦷᧃ kâm.jôn, literally "the Tai Yuan language"). In Shan it is known as kwam yon (ၵႂၢမ်းယူၼ်း kwáːm.jón, literally "the Tai Yuan language"). Currently, different scripts are used to write Northern Thai. Northern Thai is traditionally written with the Tai Tham script, which in Northern Thai is called tua mueang (ᨲᩫ᩠ᩅᨾᩮᩥ᩠ᩋᨦ ตั๋วเมือง /tǔa.mɯ̄aŋ/) or tua tham (ᨲᩫ᩠ᩅᨵᩢᨾ᩠ᨾ᩺ ตั๋วธัมม์ /tǔa.tʰām/). However, native speakers are presently illiterate in the traditional script; therefore, they instead use the Thai script to write the language. In Laos, the Lao script is commonly used to write Northern Thai. Some problems arise when the Thai script is used to write Northern Thai. In particular, Standard Thai script cannot transcribe all Northern Thai tones. 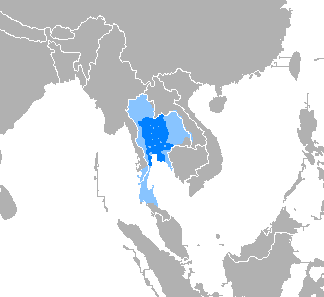 The two falling tones in Northern Thai correspond to a single falling tone in Thai. Specifically, Northern Thai has two types of falling tones: high-falling tone (˥˧) and falling tone (˥˩). However, Thai lacks the distinction between the two falling tones, not having a high-falling tone (˥˧). When using Thai script to write Northern Thai tones, the distinction of the two falling tones is lost because Thai script can only indicate a low falling tone (˥˩). As an example, the tonal distinction between /ka᷇ː/ (ก้า (ᨠᩖ᩶ᩣ กล้า) "to be brave") and /kâː/ (ก้า (ᨣ᩵ᩤ ค่า) "value") is lost when written in Thai since as only /kâː/ (ก้า) is permitted. Consequently, the meaning of ก้า is ambiguous as it can mean both "to be brave" and "value". Similarly, /pa᷇ːj/ (ป้าย (ᨸ᩶ᩣᩭ ป้าย) "sign") and /pâːj/ (ป้าย (ᨻ᩵ᩣᩭ พ่าย) "to lose") have the same problem and only /pâːj/ (ป้าย) is permitted. As a result, the spelling ป้าย is ambiguous because it can mean both "sign" or "to lose". Such tonal mergence ambiguity is avoided when the language is written with the Northern Thai script. Phonology Consonants Initial consonants Northern Thai consonant inventory is similar to that of Lao; both languages have the [ɲ] sound and lack [tɕʰ]. * Implied before any vowel without an initial and after a short vowel without a final. ** /kʰ/ and /t͡ɕʰ/ occur in loanwords from Standard Thai. Final consonants All plosive sounds are unreleased. Hence, final /p/, /t/, and /k/ sounds are pronounced as [p̚], [t̚], and [k̚] respectively. Thai language are similar to those of Standard Thai. They, from front to back and close to open, are given in the following table. The top entry in every cell is the symbol from the International Phonetic Alphabet, the second entry gives the spelling in the Thai alphabet, where a dash (–) indicates the position of the initial consonant after which the vowel is pronounced. A second dash indicates that a final consonant must follow. Allophones The following section largely concerns the Nan dialect of Northern Thai. [pm̩] coda, emphasised บ่หลับ /bɔ̀ lǎp/ not sleep! [tn̩] coda, emphasised บ่เผ็ด /bɔ̀ pʰět/ not spicy! [kŋ̩] coda, emphasised บ่สุก /bɔ̀ sǔk/ not ripe! There are six phonemic tones in the Chiangmai dialect of Northern Thai: low-rising, mid-low, high-falling, mid-high, falling, and high rising-falling. Contrastive tones in unchecked syllables The table below presents six phonemic tones in unchecked syllables, i.e. 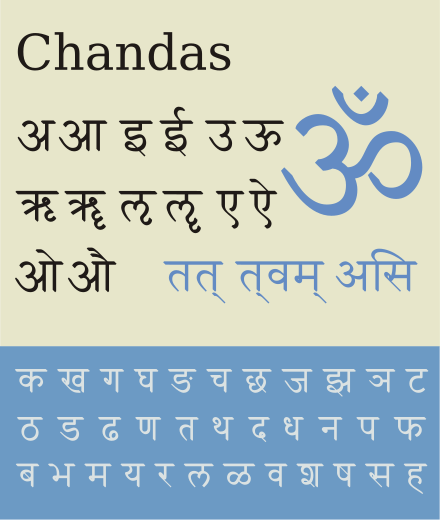 closed syllables ending in sonorant sounds such as [m], [n], [ŋ], [w], and [j] and open syllables. Contrastive tones in checked syllables The table below presents four phonemic tones in checked syllables, i.e. closed syllables ending in a glottal stop [ʔ] and obstruent sounds such as [p], [t], and [k]. Grammar The grammar of Northern Thai is similar to those of other Tai languages. The word order is subject–verb–object, although the subject is often omitted. Just as Standard Thai, Northern Thai pronouns are selected according to the gender and relative status of speaker and audience. Adjectives and adverbs There is no morphological distinction between adverbs and adjectives. Many words can be used in either function. They succeed the word which they modify, which may be a noun, verb, or another adjective or adverb. Because adjectives can be used as complete predicates, many words used to indicate tense in verbs (see Verbs:Aspect below) may be used to describe adjectives. ข้าหิว (kha hiw, [xa᷇ː hǐw]) I am hungry. ข้าจะหิว (kha cha hiw, [xa᷇ː t͡ɕa hǐw]) I will be hungry. ข้ากะลังหิว (kha kalang hiw, [xa᷇ː ka.lāŋ hǐw]) I am hungry right now. ข้าหิวแล้ว (kha hiu laew, [xa᷇ː hǐw lɛ́ːw]) I am already hungry. Verbs Verbs do not inflect. They do not change with person, tense, voice, mood, or number; nor are there any participles. ข้าตี๋เปิ้น (kha ti poen, [xa᷇ː tǐː pɤ̂n]), I hit him. เปิ้นตี๋ข้า (poen ti kha, [pɤ̂n tǐː xa᷇ː]), He hit me. เปิ้นโดนตี๋ (poen don ti, [pɤ̂n dōːn tǐː]), He is hit or He got hit. This describes an action that is out of the receiver's control and, thus, conveys suffering. Negation is indicated by placing บ่ (bor,[bɔ̀] or [bà] not) before the verb. เปิ้นบ่ตี๋, (poen bor ti, [pɤ̂n bɔ̀ tǐː]) He is not hitting. or He not hit. Aspect is conveyed by aspect markers before or after the verb. เปิ้นกะลังหะล่น (poen kalangha lon, [pɤ̂n ka.lāŋ.hà lôn]), or เปิ้นล่นอยู่ (poen lon yu, [pɤ̂n lôn jùː]), or เปิ้นกะลังหะล่นอยู่ (poen kalanɡha lon yu, [pɤ̂n ka.lāŋ.hà lôn jùː]), He is running. เปิ้นจะล่น (poen cha lon, [pɤ̂n t͡ɕaʔ lôn]), He will run or He is going to run. เปิ้นได้กิ๋น (poen dai kin, [pɤ̂n da᷇j kǐn]), He ate. เปิ้นกิ๋นแล้ว (poen kin laew, [pɤ̂n kǐn lɛ́ːw], He has eaten. เปิ้นได้กิ๋นแล้ว (poen dai kin laew, [pɤ̂n da᷇j kǐn lɛ́ːw]), He's already eaten. Aspect markers are not required. ข้ากิ๋นตี้หั้น (kha kin tihan, [xa᷇ kǐn tîː.ha᷇n]), I eat there. ข้ากิ๋นตี้หั้นตะวา (kha kin tihan tawa, [xa᷇ kǐn tîː.ha᷇n ta.wāː]), I ate there yesterday. ข้ากิ๋นตี้หั้นวันพูก (kha kin tihan wanphuk, [xa᷇ kǐn tîː.ha᷇n wān.pʰûːk]), I'll eat there tomorrow. Words that indicate obligation include at cha (อาจจะ), na cha (น่าจะ), khuan cha (ควรจะ)[dubious – discuss], and tong (ต้อง). เปิ้นอาจจะมา (poen at cha ma, /pɤ̂n ʔàːt.t͡ɕa māː/) He might come. เปิ้นน่าจะมา (poen na cha ma, /pɤ̂n na᷇ː.t͡ɕa māː/) He is likely to come. เปิ้นควรจะมา (poen khuan cha ma, /pɤ̂n xūan.t͡ɕa māː/) He should come. เปิ้นต้องมา (poen tong ma, /pɤ̂n tɔ᷇ːŋ māː/) He must come. Actions that wherein one is busily engaged can be indicated by มัวก่า (mua ka, /mūa.kàː/). ก่อมัวก่ากิ๋นหั้นเนาะ (kor mua ka kin han nor, /kɔ̀ mūa kàː kǐn ha᷇n nɔ᷇ʔ/) (It's that you/he/she) just keeps on eating it like that, you know? Words that express one's desire to do something can by indicated by khai (ใค่) and kan (กั๊น). ข้าเจ้าใค่กิ๋น (kha.chao khai kin, /xa᷇ː.t͡ɕa᷇w xâj kǐn/) I want to eat. ข้าเจ้ากั๊นกิ๋น (kha.chao kan kin, /xa᷇ː.t͡ɕa᷇w kán kǐn/) I try to eat. Phor tha wa (ผ่อท่าว่า, /pʰɔ̀ː.tʰâː.wâː/) is used to give the impression or sensation of being something or having a particular quality. ผ่อท่าว่าเปิ้นปิ๊กมาแล้ว (phor tha wa poen pik ma laew, /pʰɔ̀ː tʰâː wâː pɤ̂n pi᷇k māː lɛ́ːw/) It seems that he has returned. ม่วนก่อ (muan kor, /mûan kɔ̀ː/) Is it fun? ม่วนกา (muan ka, /mûan kāː/) It is fun, right? กิ๋นแล่ (kin lae, /kǐn lɛ̂ː/) Eat! (Authoritative). ขอกิ๋นจิ่ม (khor kin chim, /xɔ̌ː kǐn t͡ɕìm/) May I eat please? กิ๋นเหีย (kin hia, /kǐn hǐa/) Eat! (because I know it will be beneficial to you). กิ๋นเต๊อะ (kin toe, /kǐn tɤ᷇ʔ/) Eat, please. Polite particles Polite particles include คับ and เจ้า. กิ๋นเข้าแล้วคับ (kin khaw laew khap, /kǐn xa᷇w lɛ́ːw xa᷇p/) I have eaten, sir/ma'am. กิ๋นเข้าแล้วเจ้า (kin khaw laew chao, /kǐn xa᷇w lɛ́ːw t͡ɕa᷇w/) I have eaten, sir/ma'am. Nouns Nouns are uninflected and have no gender; there are no articles. Nouns are neither singular nor plural. Some specific nouns are reduplicated to form collectives: ละอ่อน (la-orn, [la.ʔɔ̀ːn], child) is often repeated as ละอ่อนๆ (la-orn la-orn, [la.ʔɔ̀ːn la.ʔɔ̀ːn],) to refer to a group of children. The word หมู่(mu, [mùː]) may be used as a prefix of a noun or pronoun as a collective to pluralize or emphasise the following word. (หมู่ผม, mu phom, [mùː pʰǒm], we (exclusive), masculine; หมู่เฮา mu hao, [mùː hāw], emphasised we; หมู่หมา mu ma, [mùː mǎː], (the) dogs). Plurals are expressed by adding classifiers, used as measure words (ลักษณนาม), in the form of noun-number-classifier (คูห้าคน, "teacher five person" for "five teachers"). Pronouns Pronouns may be omitted once they have already been established in the first sentence, unless the pronoun in the following sentences is different from the first sentence. The pronoun "you" may also be omitted if the speaker is speaking directly to a second person. Moreover, names may replace pronouns, and they can even replace the first person singular pronoun. ᨡ᩶ᩣ ข้า kha᷇a /xa᷇ː/ [xaː˥˧] I/me (formal; used by male). Literally "servant, slave". ᨧᩮᩢ᩶ᩣ เจ้า cha᷇o /t͡ɕa᷇w/ [t͡ɕaw˥˧] you (formal, singular). Literally "master, lord"
Vocabulary Northern Thai shares much vocabulary with Standard Thai, especially scientific terms, which draw many prefixes and suffixes from Sanskrit and Pali, and it also has its own distinctive words. Just like Thai and Lao, Northern Thai has borrowed many loanwords from Khmer, Sanskrit, and Pali. Unlike Northern Thai, Standard Thai lacks a high-falling tone ([˥˧]). The high falling tone ([˥˧]) and falling tone ([˥˩]) in Northern Thai both correspond to the falling tone in Standard Thai ([˥˩]). /jîː.sìp/ ยี่สิบ /sāːw/ ᨪᩣ᩠ᩅ ซาว twenty cf. Lao: ຊາວ /sáːw/ "twenty" and Shan: သၢဝ်း /sáːw/ "twenty"
/pʰîː.tɕʰaːj/ พี่ชาย /ʔa᷇ːj/ ᩋ᩶ᩣ᩠ᨿ อ้าย older brother cf. Lao: ອ້າຍ /ʔâːj/ "older brother" and Shan: ဢၢႆႈ /ʔāːj/ "eldest brother, first born son"
/tʰáːj.tʰɔ̄ːj/ ท้ายทอย /ŋɔ̂n/ ᨦ᩵ᩬᩁ ง่อน nape cf. Lao: ງ່ອນ /ŋɔ̄ɔn/ "nape"
/t͡ɕa.mùːk/ จมูก /dāŋ/ ᨯᩢ᩠ᨦ ดัง nose cf. Lao: ດັງ /dàŋ/ "nose", Standard Thai: ดั้ง /dâŋ/ "nasal bridge". /hâj/ ให้ /hɯ᷇ː/ ᩉᩨ᩶ หื้อ give, let cf. Tai Lü: ᦠᦹᧉ /hɯ᷄/ "to give, to allow"
/dūː/ ดู /pʰɔ̀ː/ ᨹᩴ᩵ᩬ ผ่อ look cf. Lao: ຜໍ່ /pʰɔ̀ː/ "to see, to look" and Tai Lü: ᦕᦸᧈ /pʰɔ̀ː/ "to see, to look"
/tʰîaw/ เที่ยว /ʔɛ̀ːw/ ᩋᩯ᩠᩵ᩅ แอ่ว visit, travel cf. Tai Lü: ᦶᦀᧁᧈ /ʔɛ᷄w/ "to visit, to travel"
/nɯ́a/ เนื้อ /t͡ɕín/ ᨩᩥ᩠᩶ᨶ จิ๊น meat cf. Lao: ຊີ້ນ /sîːn/ "meat"
/mâj/ ไม่ /bɔ̀ː/ ᨷᩴ᩵ บ่อ no cf. Lao: ບໍ່ /bɔ̄ː/ "no, not"
อร่อย ลำ tasty, delicious cf. Lao: ແຊບ /seəb/ "delicious"
/t͡ɕʰɔ̂ːp/ ชอบ /ma᷇k/ ᨾᩢ᩠ᨠ มัก like cf. Lao: ມັກ /māk/ "to like"
/dɤ̄ːn/ เดิน /tīaw/ ᨴ᩠ᨿᩅ เตียว walk cf. Tai Lü: ᦵᦑᧁ /têw/ "to walk"
/hǔa.rɔ́ʔ/ หัวเราะ /xâj.hǔa/ ใค่หัว laugh cf. Tai Lü: ᦺᦆᧈᦷᦠ /xāj.hó/ "to laugh"
/sa.nùk/ สนุก /mûan/ ม่วน funny, amusing cf. Lao: ມ່ວນ /mūan/ "fun, amusing, pleasant", Tai Lü: ᦷᦙᦓᧈ /mōn/ "fun, amusing, pleasant", and Shan: မူၼ်ႈ /mōn/ "fun, amusing, pleasant"
/kōː.hòk/ โกหก /t͡ɕúʔ/ จุ๊ lie cf. Tai Lü: ᦈᦳ /t͡su᷄ʔ/ "to lie, to deceive"
/ʔa.rāj/ อะไร /ʔa.ɲǎŋ/ อะหญัง what cf. Lao: ອີ່ຫຍັງ /ʔī.ɲǎŋ/ "what"
/dèk/ เด็ก /la.ʔɔ̀ːn/ ᩃᩡᩋ᩵ᩬᩁ ละอ่อน child cf. Tai Lü: ᦟᦳᧅᦀᦸᧃᧈ /lūk.ʔɔ᷄n/ "child, young offspring"
/pʰráʔ/ พระ /tu᷇.t͡ɕa᷇w/ ᨴᩩᨧᩮᩢ᩶ᩣ ตุ๊เจ้า Buddhist monk cf. Tai Lü: ᦑᦳᦈᧁᧉ /tūʔ.tsa᷅w/ "Buddhist monk"
/rɔ́ːn/ ร้อน /hɔ́ːn/ ᩁ᩶ᩬᩁ ฮ้อน hot cf. Lao: ຮ້ອນ /hɔ̂ːn/ "to be hot" and Shan: ႁွၼ်ႉ /hɔ̰n/ "to be hot"
/rák/ รัก /ha᷇k/ ᩁᩢ᩠ᨠ ฮัก love cf. Lao: ຮັກ /hāk/ "to love" and Shan: ႁၵ်ႉ /ha̰k/ "to love"
/rúː/ รู้ /húː/ ᩁᩪ᩶ ฮู้ know cf. Lao: ຮູ້ /hûː/ "know" and Shan: ႁူ /hṵ/ "know"
Chiang Rai city and province cf. Tai Lü: ᦵᦈᧂᦣᦻ /tsêŋ.hâːj/ "Chiang Rai"
/kʰít/ คิด /kɯ́t/ ᨣᩧ᩠ᨯ กึ๊ด think cf. Tai Lü: ᦅᦹᧆ /kɯ̄t/ "to think"
/t͡ɕʰɔ́ːn/ ช้อน /t͡ɕɔ́ːn/ ᨩ᩶ᩬᩁ จ๊อน spoon cf. Tai Lü: ᦋᦸᧃᧉ /tsɔ̀n/ "spoon"
/t͡ɕʰáj/ ใช้ /t͡ɕáj/ ᨩᩲ᩶ ใจ๊ use cf. Shan: ၸႂ်ႉ /tsa̰ɰ/ "to use", Tai Lü: ᦺᦋᧉ /tsàj/ "to use"
/pʰɔ̂ː/ พ่อ /pɔ̂ː/ ᨻᩴ᩵ᩬ ป้อ father cf. Shan: ပေႃႈ /pɔ̄/ "father", Tai Lü: ᦗᦸᧈ /pɔ̄/ "father"
/tʰāːŋ/ ทาง /tāːŋ/ ᨴᩣ᩠ᨦ ตาง way cf. Shan: တၢင်း /táːŋ/ "way", Tai Lü: ᦑᦱᧂ /tâːŋ/ "way"
/kʰôːt.sa.nāː/ โฆษณา /xôːt.sa.nāː/ โฆษณา commercial, advertisement cf. Tai Lü: ᦷᦆᦉᦓᦱ /xôː.sa.nâː/ "advertisement"
/pʰāː.sǎː/ ภาษา /pʰāː.sǎː/ ภาษา language cf. Tai Lü: ᦘᦱᦉᦱ /pʰâː.sáː/ "nationality"
/wát.tʰa.náʔ.tʰām/ วัฒนธรรม /wa᷇t.tʰa.na᷇ʔ.tʰām/ วัฒนธัมม์ culture cf. Tai Lü: ᦞᧆᦒᦓᦱᦒᧄ /wāt.tʰa.na.tʰâm/ "culture"
/tʰām/ ธรรม /tʰām/ ธัมม์ Dharma cf. Tai Lü: ᦒᧄ /tʰâm/ "Dharma"
/pràʔ.tʰêːt/ ประเทศ /pʰa.têːt/ ᨷᩕᨴᩮ᩠ᩆ ผะเต้ด country cf. Tai Lü: ᦕᦵᦑᧆ /pʰa.te᷄ːt/ "country"
/kràːp/ กราบ /xàːp/ or /kʰàːp/ ᨠᩕᩣ᩠ᨷ ขาบ kowtow, prostrate cf. Tai Lü: ᦃᦱᧇ /xa᷄ːp/ "to prostrate oneself"
/prāː.sàːt/ ปราสาท /pʰǎː.sàːt/ ᨷᩕᩤᩈᩣ᩠ᨴ ผาสาท palace cf. Tai Lü: ᦕᦱᦉᦱᧆ /pʰáː.sa᷄ːt/ "palace"
Khamjan, Mala (2008). Kham Mueang Dictionary พจนานุกรมคำเมือง [Photchananukrom Kham Mueang] (in Thai). Chiang Mai: Bookworm. ISBN 978-974-8418-55-1. Natnapang Burutphakdee (October 2004). Khon Muang Neu Kap Phasa Muang [Attitudes of Northern Thai Youth towards Kammuang and the Lanna Script] (PDF) (M.A. Thesis). Presented at 4th National Symposium on Graduate Research, Chiang Mai, Thailand, August 10–11, 2004. Asst. Prof. Dr. Kirk R. Person, adviser. Chiang Mai: Payap University. Archived from the original (PDF) on 2013-06-09. Retrieved June 8, 2013. Rungrueangsi, Udom (ศาสตราจารย์ ดร.อุดม รุ่งเรืองศรี) (2004) . Lanna-Thai Dictionary, Princess Mother Version พจนานุกรมล้านนา ~ ไทย ฉบับแม่ฟ้าหลวง [Photchananukrom Lanna ~ Thai, Chabap Maefa Luang] (in Thai) (Revision 1 ed.). Chiang Mai: Rongphim Ming Mueang (โรงพิมพ์มิ่งเมือง). ISBN 974-8359-03-4. Bilmes, J. (1996). Problems And Resources In Analyzing Northern Thai Conversation For English Language Readers. Journal of Pragmatics, 26(2), 171-188. Davis, R. (1970). A Northern Thai reader. Bangkok: Siam Society. Filbeck, D. (1973). Pronouns in Northern Thai. Anthropological Linguistics, 15(8), 345-361. Herington, Jennifer, Margaret Potter, Amy Ryan and Jennifer Simmons (2013). Sociolinguistic Survey of Northern Thai. SIL Electronic Survey Reports. Howard, K. M. (2009). “When Meeting Khun Teacher, Each Time We Should Pay Respect”: Standardizing Respect In A Northern Thai Classroom. Linguistics and Education, 20(3), 254-272. Khankasikam, K. (2012). Printed Lanna character recognition by using conway's game of life. In ICDIM (pp. 104–109). Pankhuenkhat, R. (1982). The Phonology of the Lanna Language:(a Northern Thai Dialect). Institute of Language and Culture for Rural Development, Mahidol University. Strecker, D. (1979). "A preliminary typology of tone shapes and tonal sound changes in Tai: the La-n N-a A-tones", in Studies in Tai and Mon-Khmer Phonetics and Phonology In Honour of Eugénie J.A. Henderson, ed. T.L. Thongkum et al., pp. 171–240. Chulalongkorn University Press. Wangsai, Piyawat. (2007). A Comparative Study of Phonological Yong and Northern Thai Language (Kammuang). M.A. thesis. Kasetsart University. Wikimedia Commons has media related to Lanna language.